"The climate crisis is here and already impacting the most vulnerable," notes 350.org's program director. "Staying under 1.5ºC is now a matter of political will." The Intergovernmental Panel on Climate Change held a press conference on its new report in South Korea on Monday. Underscoring the need for "rapid, far-reaching, and unprecedented" changes to life as we know it to combat the global climate crisis, a new report from the Intergovernmental Panel on Climate Change (IPCC)—the United Nations' leading body for climate science—details what the world could look like if the global temperature rises to 1.5°C versus 2°C (2.7°F versus 3.6°F) above pre-industrial levels, and outlines pathways to reducing greenhouse gas emissions in the context of sustainable development and efforts to eradicate poverty. "This is a climate emergency. 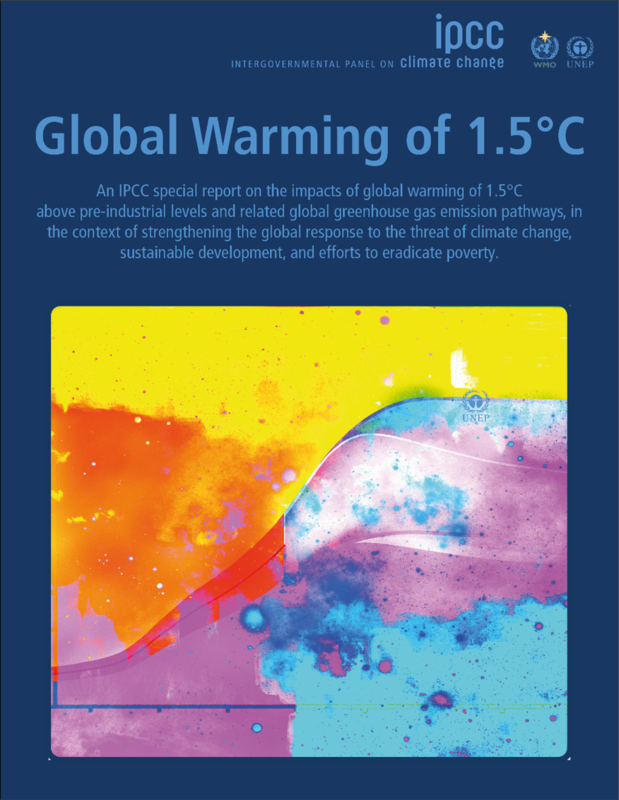 The IPCC 1.5 report starkly illustrates the difference between temperature rises of 1.5°C and 2°C—for many around the world this is a matter of life and death." "Climate change represents an urgent and potentially irreversible threat to human societies and the planet," the report reads. "Human-induced warming has already reached about 1°C (1.8°F) above pre-industrial levels at the time of writing of this Special Report... If the current warming rate continues, the world would reach human-induced global warming of 1.5°C around 2040." Approved by the IPCC in South Korea on Saturday ahead of COP24 in Poland in December, Global Warming of 1.5°C was produced by 91 authors and reviewers from 40 countries. Its release has elicited calls to action from climate campaigners and policymakers the world over. "This is a climate emergency. The IPCC 1.5 report starkly illustrates the difference between temperature rises of 1.5°C and 2°C—for many around the world this is a matter of life and death," declared Karin Nansen, chair of Friends of the Earth International (FOEI). "It is crucial to keep temperature rise well below 1.5 degrees without offsetting, carbon markets, and geoengineering, but the evidence presented by the IPCC shows that there is a narrow and shrinking window in which to do so." The report was requested when the international community came together in December of 2015 for the Paris agreement, which aims to keep global warming within this century "well below" 2°C, with an ultimate target of 1.5°C. President Donald Trump's predecessor supported the accord, but Trump has vowed to withdraw the United States, even as every other nation on the planet has pledged their support for it. In many cases, however, sworn support hasn't led to effective policy. "It's a fresh reminder, if one was needed, that current emissions reduction pledges are not enough to meet the long-term goals of the Paris agreement. Indeed, they are not enough for any appropriately ambitious temperature target, given what we know about dangerous climate impacts already unfolding even at lower temperature thresholds," Rachel Cleetus, lead economist and climate policy manager for the Union of Concerned Scientists (UCS), wrote ahead of its release. "The policy implications of the report are obvious: We need to implement a suite of policies to sharply limit carbon emissions and build climate resilience, and we must do all this is in a way that prioritizes equitable outcomes particularly for the world's poor and marginalized communities," Cleetus added. "We want a just transition to a clean energy system that benefits people not corporations," Nansen emphasized. "Only with a radical transformation of our energy, food and economic systems, embracing environmental, social, gender and economic justice, can we prevent climate catastrophe and temperature rises exceeding 1.5°C." "The science in the IPCC report on 1.5°C speaks for itself. Staying under 1.5ºC is now a matter of political will," responded 350.org program director Payal Parekh. "The climate crisis is here and already impacting the most vulnerable and the least responsible for creating it. The only way to achieve it is to stop all fossil fuel extraction and redirect the massive resources currently spent on the fossil fuel economy towards the renewable energy transition." 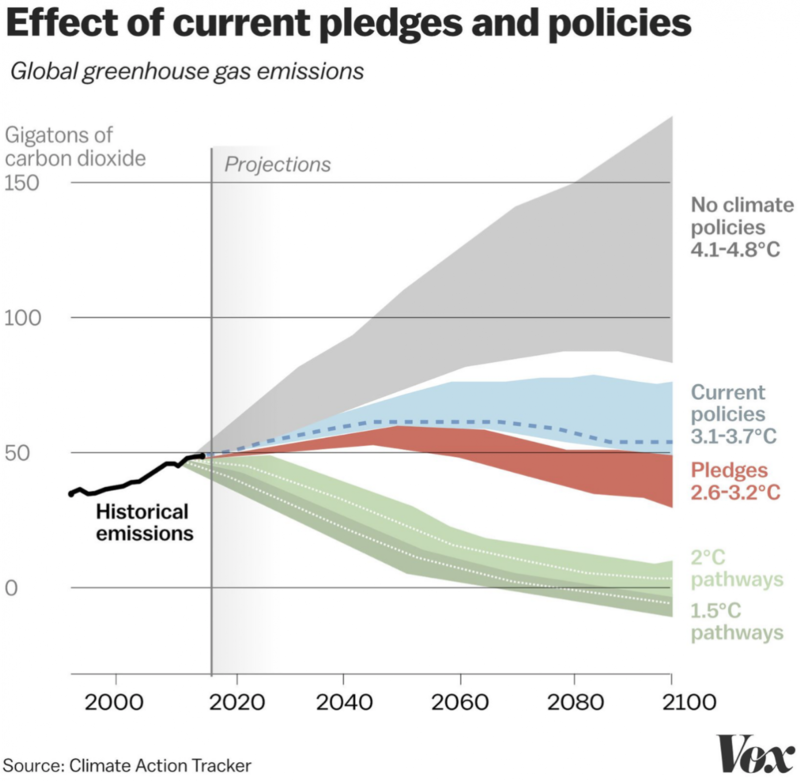 "It's a fresh reminder, if one was needed, that current emissions reduction pledges are not enough to meet the long-term goals of the Paris agreement. Indeed, they are not enough for any appropriately ambitious temperature target, given what we know about dangerous climate impacts already unfolding even at lower temperature thresholds,"
Strengthening the capacities for climate action of national and sub-national authorities, civil society, the private sector, indigenous peoples and local communities can support the implementation of ambitious actions implied by limiting global warming to 1.5°C. International cooperation can provide an enabling environment for this to be achieved in all countries and for all people, in the context of sustainable development. International cooperation is a critical enabler for developing countries and vulnerable regions.